By now, the story of USDA staffer Shirley Sherrod is familiar. 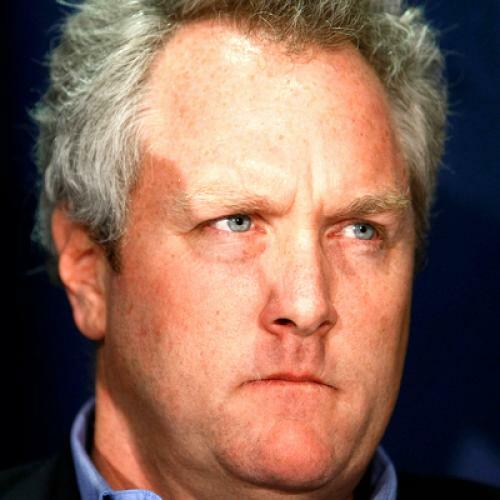 Conservative media magnate Andrew Breitbart obtained a video of her speaking to an NAACP convention. In it she discussed not wanting to help a farmer because he was white. Here was explosive evidence of the reverse racism that Breitbart and some conservatives find so endemic. She was quickly fired. It turned out that Breitbart's story was wildly misleading. Sherrod in fact told a story in which she recounted earlier in her career, while working for a nonprofit, feeling resentment about helping a white farmer. But, she continued, she later understood that such an attitude was wrong. The white farmer later testified that Sherrod in fact helped them save their farm. Breaitbart claims he did not splice the video, and that he obtained it in the misleading, fragmentary form in which he published it. Coincidentally, Breitbart was the victim of the exact same trick. Last year, Breitbart published video purporting to show a man dressed as a pimp soliciting help from Acorn. It turned out, the video was deceptively edited. He dressed as a pimp for the cameras, but wore conservative attire to meet with Acorn. In meeting with Acorn, he presented himself not as a pimp but as a law student trying to rescue his prostitute girlfriend from a pimp. Yet the narrative presented by Breitbart took hold from the outset. When pressed, he claimed here too that he was the victim of deceptive editing. A similar tactic is at work in the Daily Caller's expose on Journolist. It is the selective presentation of fragments of data, containing multiple factual misstatements, and filtered through the reporter's deceptive analytical take, to present a "discovery" as something wildly at odds with reality. The story takes hold as news because it is, literally, new information. But the information bears no resemblance to what the conservative journalist claims it is. This seems to be the method of the new breed of conservative pseudo-journalists. most media organizations are either complicit by participation in the treachery that is Journolist, or are guilty of sitting back and watching Alinsky warfare being waged against all that challenged the progressive orthodoxy. The scandal predictably involves journalists posing as professors posing as experts. But dressed down they are nothing but street thugs. When this is your analysis of mainstream media ethics -- when you think the mainstream media is not merely failing to overcome its liberal bias but is actually street thugs -- that informs the kind of journalism you produce. There is room for enterprising journalism from conservatives. The problem is that the product of sites like Breitbart's Big Government and the Daily Caller is not journalism but pseudo-journalism. It does not hew to conventional journalistic standards. It is opposition research -- bits of data placed in the most damaging possible context and packaged in such a way as to encourage other reporters or pundits to pick it up and hopefully repeat its analytic thrust. Now, opposition research can be useful, and it often produces good journalistic leads. But people who do hew to conventional journalistic standards do need to be very cautious when handling pseudo-journalistic stories. You can't assume that the information is being provided in context, or that the interpretive frame bears any relation to reality.